Those of a nervous disposition can rest easy today as there are no guillotines and no executions though once again we find ourselves treading carefully through battlefields, this time those of marriage. Although the fame of Victor de Riqueti's son, Honoré, Comte de Mirabeau, would eclipse his father, today the floor belongs squarely to the Marquis de Mirabeau. Mirabeau was born into a wealthy but disciplinarian household, his family well-established and respected in Provence under the authority of his soldier father. After undertaking a stern Jesuit education, at the age of 13 he was enlisted in the military as his father wished, where he proved himself a dedicated soldier. However, the young man's ambitions to command a regiment of his own were frustrated by political machinations despite having fought at both the War of the Polish Succession and the War of the Austrian Succession. In 1737 Mirabeau's father died and he left the army and settled at the family estate to live a life of literature and philosophy. For a man who would become a renowned economist, Mirabeau was a remarkably poor financial manager and began to spend his way through his inheritance at an alarming rate. With his money evaporating and his myriad business plans amounting to nothing, in 1743 Mirabeau married Marie Geneviève de Vassan not for love, but for land, never having met her before the day of the marriage. Although the couple had 11 children, by 1757 they were bitterly estranged. Not only this, but Mirabeau found his son, Honoré, a constant cause of concern and the two men were often at odds with one another. 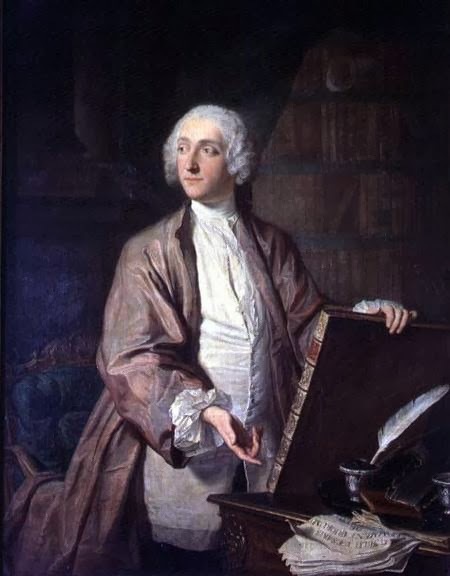 With his financial situation now secure once more, Mirabeau set to the task of writing and in 1747 published Testament Politique, an examination of French society. However, the work that made Mirabeau's name and notoriety was L’ami des hommes, ou traité de la population, published in 1756, the year in which he also met Mme de Pailly, the woman who would become his long-term mistress. He produced further works that aligned him with the physiocrat school of economics, arguing that agriculture was inextricably linked with the wealth of a nation, and that natural law should not be subject to government interference. Mirabeau befriended François Quesnay, the founder of the physiocrat movement and in 1760 wrote a book that would cause a sensation and end with his imprisonment, Théorie de l’impôt, a scathing attack on the system of tax-farming. With his opinions seen as dangerously radical, Mirabeau was imprisoned at Vincennes for eight days before being exiled to his country estate at Bignon. However, despite the shocked reaction of his own countrymen, Mirabeau was hailed as a great thinker in other European nations. In fact, Mirabeau's downfall was to come at the hands of the woman he had married all those years ago and in 1772 Marie Geneviève began legal proceedings against him in Paris. Although her case was thrown out after five years, she immediately filed her claim again and after a protracted legal battle, was successful in her efforts to gain a financial settlement. The scandal of the trial engulfed Mirabeau and Mme de Pailly and the Marquis was forced to sell his Bignon estate to meet the costs, his finances exhausted by the legal dispute. In declining health, he retired to Argenteuil and lived out the remainder of his life in quiet seclusion, his name honoured by followers of the physiocrat movement in death as it was in life. I hope you're not suggesting I have a nervous disposition, though it is quite pleasant not to have to deal with a guillotine, the gallows or a firing squad first thing on a Sunday morning! ;~) interesting! I can't help wondering what his "Testament Politique" said. I imagine it was scathing of the tax system and reflected his later views. So fascinating to see the development of these characters in pre-revolution France. It was scathing indeed; it outlined a system of reform that would return French nobility to the position it had occupied in the middle-ages, with sweeping reform of taxation and land rights. It would certainly send a message!